After many years of hard work, our new initiative is now accepting investors. You can now gain access to the seasonal investing approach that we have pioneered and presented through our sites for the past 15 years. 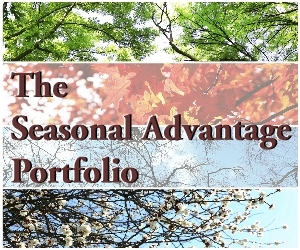 Forget the “Sell In May” or date-based investment approach employed by other seasonal strategies in the market and explore the advantages of the Seasonal Advantage Portfolio. The Seasonal Advantage Portfolio is a mandate offered by CastleMoore, Inc., a portfolio management company. Jon Vialoux is a registered Associate Portfolio Manager with CastleMoore. For more information on this portfolio, please email us at seasonalportfolio@equityclock.com.